Our kindergartens offer inspiring early childhood education with best international curriculum based education. We only employ trained teachers to teach your children. We also employ additional staff to support the teachers with non-teaching tasks. Spacious, safe, well shaded and maintained outdoor play areas with sand pits, water play, swing sets and a range of other outdoor equipment. A large range of exciting and challenging educational resources complementing library at each classroom. Regular excursions to a variety of interesting destinations. A number of entertaining and educational visitors to the kindergartens. Cool summers camps, outings, field visits and non-gas food making. An exposure to various activities. One benefit of edukidz international kindergarten is that children will learn English language and get to sharpen their reading skills. Our curriculum will include teaching children how to hold books, how to recognize book covers, and how to differentiate between letters, words, and sentences. Students will also learn how to listen, speak in public, and write their names. edukidz international Kindergarteners learn about different math concepts as well. They are introduced to the basics of algebra by learning to identify number patterns. Students will learn very basic geometry and they learn to identify, describe, and create different shapes. Students also learn how to tell time, measure, and count. edukidz international Kindergarteners are also introduced to Social Studies for the first time. In this discipline, children learn to realize the concept of change and history. They are introduced to rules, laws, and how to abide by them. They learn general historical traditions and events, including national symbols. 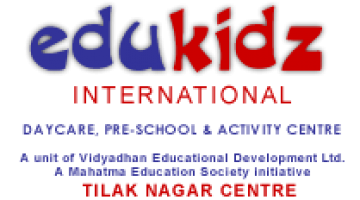 edukidz international Kindergarten incorporates technology as well. edukidz international programs will include computer programs in their curriculum. Computer programs will include games and interactive activities where students will learn reading, math, history, and science, in a fun way. Through the arts program, children also learn to tap into their creative skills. Aside from craft making, painting, and colouring, children also get the opportunity to sing, dance, and play an instrument. Music is also a great tool for them to learn how to read and to develop their reasoning skills. The arts also encourage play, imagination, spontaneity, experimentation, confidence, and self-expression and provide kids with a non-verbal means to express them. Studies also show that experiences in the arts contribute to a children’s positive development of academic skills that will translate into doing better on mathematics, reading, and language development. By allowing edukidz international kindergarteners to dabble into the arts, students also get to develop more advanced thinking skills, enhance their multicultural understanding, access many types of intelligence, build their self-confidence, build positive responses to learning, and try different types of learning styles.